Chanukah may be coming to a close, but it is still the holiday season and these russet and sweet potato latkes are a festive addition to any holiday meal or party. 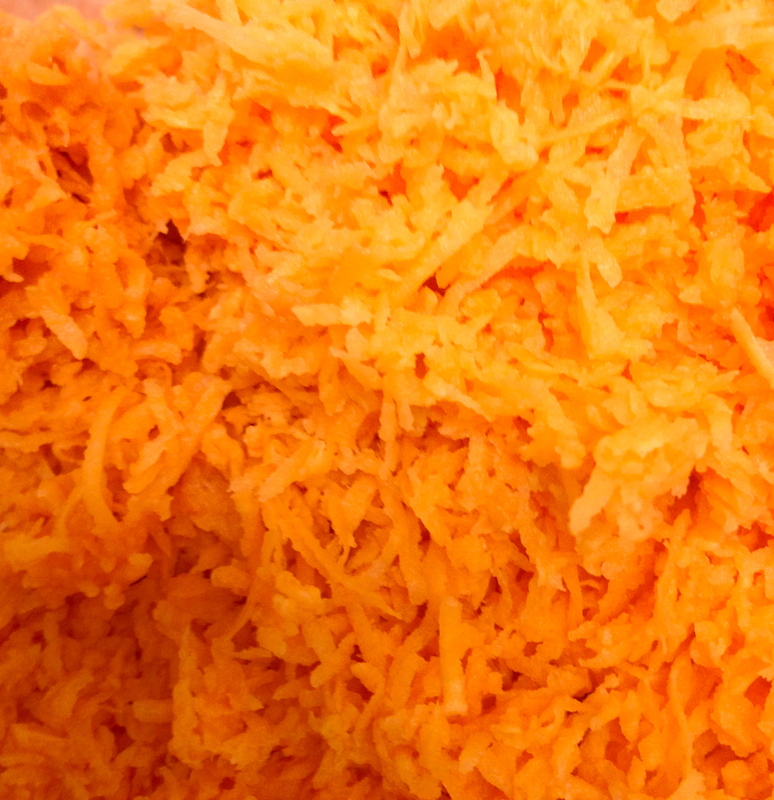 Combing the russet potato with the sweet potato allows for a sweet, heartier latke without straying too far from the traditional version. And the best part? 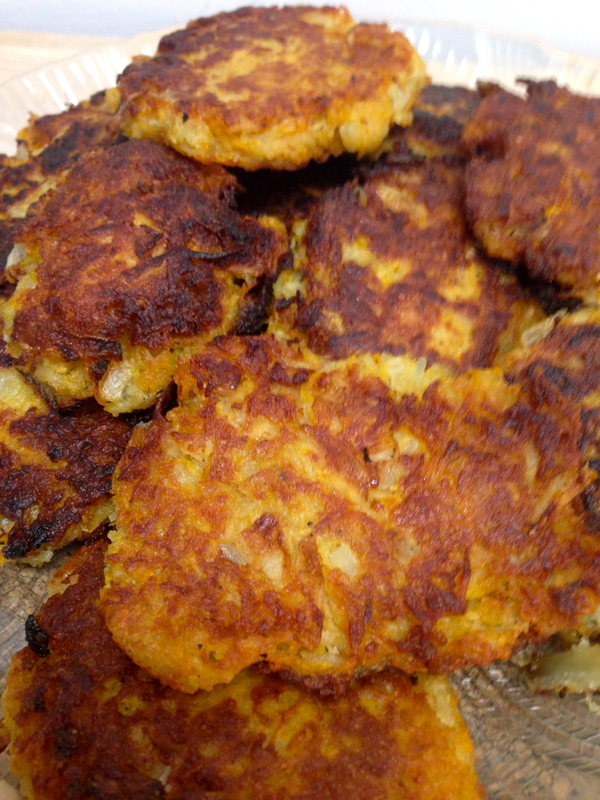 Each latke is under 100 calories! 1. Peel potatoes. After peeling each potato, place in large bowl of cold water to prevent browning. 2. Pat dry potato and grate by hand. Repeat for the remaining potatoes. 3. Once all potatoes have been grated, use a cheesecloth, dishtowel or paper towel and thoroughly dry potatoes by ringing out all excess water. 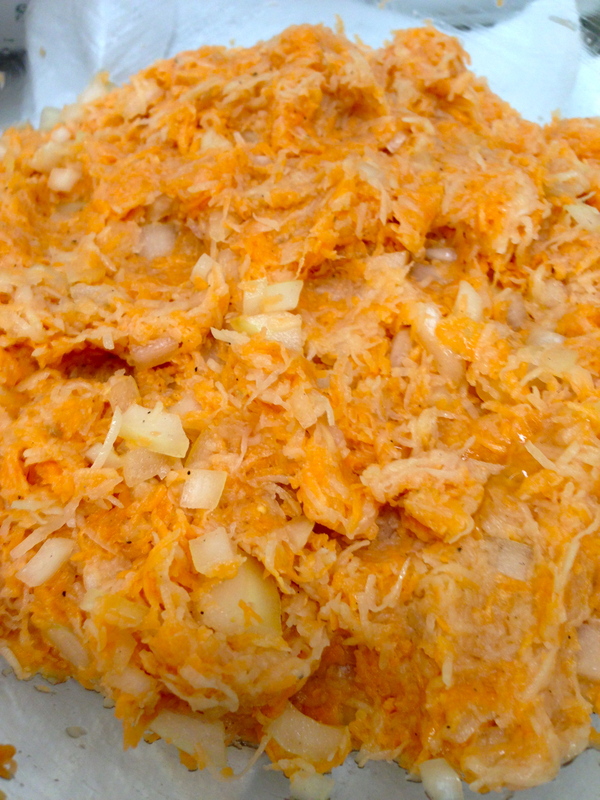 Place grated potatoes in a large mixing bowl. 4. In a separate bowl, crack 1 egg and two whites and scramble with a fork. Add to potatoes. 5. Add salt, pepper and onion. Mix ingredients with hands until well combined. 6. Pour about 1/4 of the oil in a large frying pan (I find that a stainless steel pan works best) and warm over medium heat. 7. Take about 1 spoonful of batter, roll it into a ball and flatten the mixture (the latke should be about the size of half of your palm). 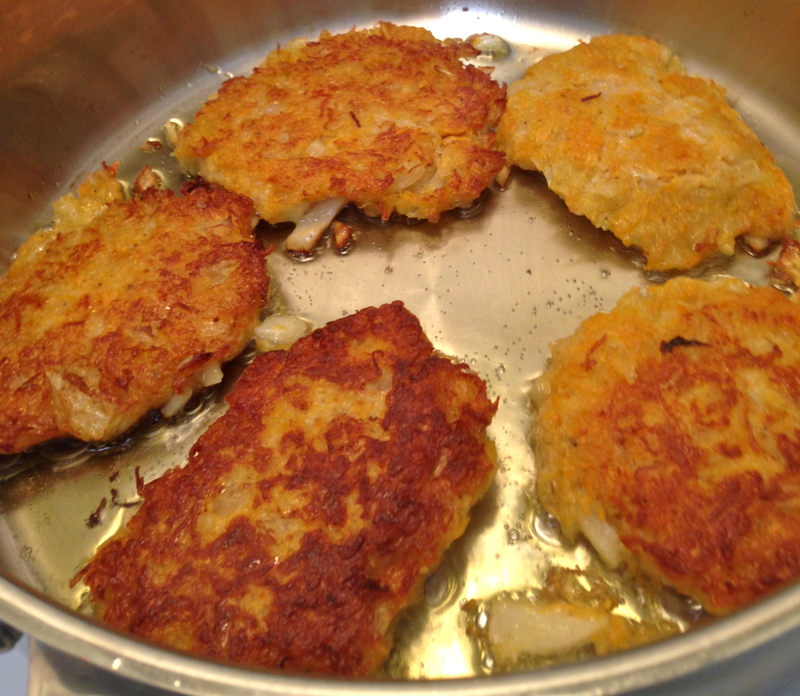 Place latke in oil and repeat until the frying pan is full (usually about 5 latkes can fit in one pan). Cook until browned (about 5 minutes on each side). 8. Transfer cooked latkes over to a plate covered with paper towel to absorb excess oil. Repeat steps 6-7 until the mixture is used. Ready to be formed into latkes!